I happened to be sitting in the Whole Foods Beir Garden enjoying a Lockdown Brewing Company beer when I spied a strange looking pink beer bottle. 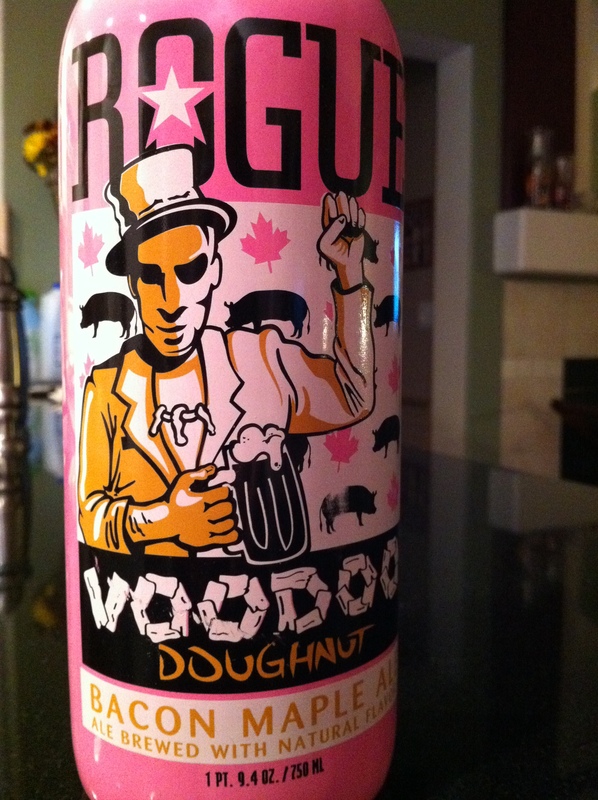 Upon closer look I found it to be a beer by Rogue Ales called Voodoo Doughnut Bacon Maple Ale. I had to try it. Bought it and later that night had a tasting and wow! The super incredible smokey maple bacon flavors were intense and very flavorful. This was the most interesting and unique beer I’ve ever tasted. Rogue Ales has collided with Voodoo Doughnut to create Bacon Maple Ale! This unique creation contains a baker’s dozen number of ingredients including bacon and maple syrup from one of Voodoo’s signature doughnuts. To add, if you enjoy smoked foods, you must try this beer. It may be hard to find, but if it is stock at your local store, you won’t miss that pink bottle in the beer section. 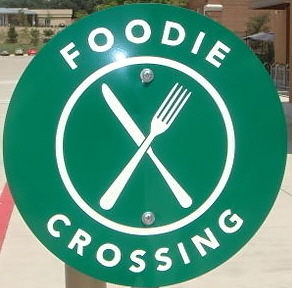 This beer would taste good with a variety of foods, from entree’s to deserts.